What's in a (Jersey) Number? The controversial infield fly call in the 2012 National League Wild Card Game produced a ten-minute stoppage as Atlanta fans threw debris onto the field. It also sent me on my scholarly bender over the rule. And now it has produced civil litigation, in the form of a civil lawsuit by one fan who claims he suffered significant injuries when a security guard pulled him from his seat and tried to eject him from the stadium (apparently in violation of Braves policy). The issues are always interesting at the intersection of Bioethics and Sports Law. Robert Mathis, one of the top linebackers in the NFL, recently received a four game suspension for testing positive for the drug Clomiphene, better known by its trade name Clomid. The drug is on the NFL’s banned substance list because it increases testosterone, an anabolic steroid naturally produced by the human body. But is it a performance-enhancing drug? Only if the performance being considered is that oldest of human physical endeavors: making babies. Clomiphene is actually a selective estrogen receptor modulator or SERM. It is by far the most widely prescribed fertility drug for women and is also prescribed off-label for men. The theory is that if you lower the body’s production of estrogen you increase the production of testosterone and sperm counts rise. 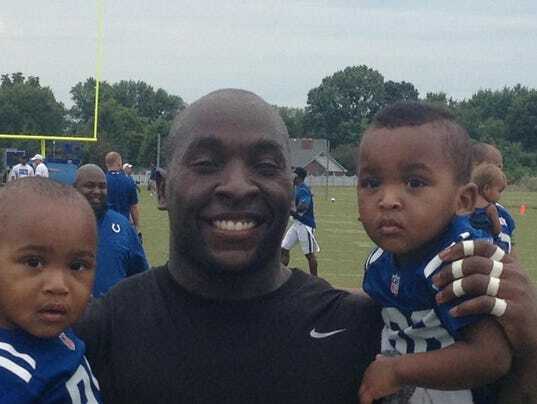 The Indianapolis Colt and his wife already had three children but they wanted a fourth grandchild for Mathis’s mother when she was diagnosed with stage 4 cancer. The couple sought the assistance of Atlanta fertility doctor Steven Morgenstern, who prescribed the Clomid for Mathis to increase the probability of early conception. As soon as Ms. Mathis became pregnant, her husband went off the drug. But a random NFL drug test detected the presence of Clomiphene which stays in the body for some time after discontinuation. In a written statement the NFL coldly explained: "A cornerstone of the program is that a player is responsible for what is in his body. Consistent application of the policy's procedures is critical to the integrity of the program." One question is whether intent should play a part in the NFL’s enforcement of its rules. Should it matter if Mathis’s only intention was to “perform” better off the field not on it? The league says players should check with them before taking any substance prescribed by a physician. Indeed, the NFL rules provide for a Therapeutic Use Exception or TUE, but a player must first apply with his physician for the right to take a banned substance for therapeutic reasons. Mathis says he never thought whether a fertility drug could be on the banned list and the doctor says he, too, never made the connection. In what job, however, does anyone have to share such personal and private matters with his employers? The decision to have a child under difficult circumstances should remain a personal matter even for NFL linebackers and, when it comes to such life decisions, the NFL should stay on the sidelines. Catalyzing Fans--the article by Mike, Dan Markel, and me--is forthcoming in Harvard Journal of Sports and Entertainment Law. But its basic idea may be taking root. The trial of Ed O'Bannon v. NCAA has ended. A decision by U.S. District Judge Claudia Wilken is expected by early August. Here's my report from Oakland, California on what was a dramatic conclusion to the trial. This question was at the center of today's proceedings in the O'Bannon v. NCAA trial. Here's my report from Oakland. Finally, Rogers makes some good cultural and sociological arguments for why America went in the direction of football and basketball rather than soccer. I would add one pont. MLS and professional soccer in this country is said to not be successful because it is not as big as the NBA, NFL, and MLB. But part of the problem has been the insistence on measuring MLS success (monetary and attendance) compared with the sucess of today's other leagues, as opposed to how those leagues looked when they were twenty years old. The NFL was founded in the 1920s (and no one one really cared about it until the 1950s), the NBA in the 1940s; it is ridiculous to measure a nascent soccer league against those mature leagues. In 1925, the early days of modern Major League Baseball, no team had more than 1 million in attendance; in 1955, the midpoint of baseball's so-called Golden Age, only eight teams had more than 1 million in attendance and only one had more than 2 million; in 2013, every team had more than 1 million and eight teams had more than 3 million. So the question should not be if soccer is earning the same attendance or money as the other three leagues; it should be how it is doing for a new sports league. And by most measures, the answer to that question seems to be "quite well." I have a new Sports Illustrated column on the O'Bannon trial. It's been an incredible experience to report on the trial. Looking forward to the last two days tomorrow and Friday. I'm reporting on the Ed O'Bannon v. NCAA trial this week for Sports Illustrated from the federal court house in Oakland. Here's my take on today's developments. I was a guest last night on PBS Newshour to chat about the O'Bannon case, which is expected to end by next Friday. In a new article for SI.com that I co-author with Robert Raiola, we break down what may be in store for Carmelo Anthony if he leaves the Knicks as a free agent and why his decision will watched closely by the National Basketball Players' Association. The Washington Redskins, under Daniel Snyder's leadership, might have to go into their prevent defense yet again. The United States Patent and Trademark Office (USPTO) just determined that the "Redskins" name is "disparaging to Native Americans" and, accordingly, cancelled the team's trademark. "Petitioners have found a preponderance of evidence that a substantial amount of Native Americans found the term Redskins to be disparaging when used in connection with professional football.....While this may reveal differing opinions with the community, it does not negate the opinions of those who find it disparaging." You can read the entire USPTO's ruling here. Once again, our own Michael McCann has written an insightful piece on today's topic for Sports Illustrated | SI.com article entitled "Understanding the Cancellation of the Redskins' Federal Trademark" which you should definitely read here. Much more recently, however, the first college athlete with remaining eligibility to file a lawsuit on an individual basis against a third party for using his name in a commercial product without his permission came from the 2012 Heisman Trophy winner, Johnny Manziel, with respect to the third-party sale of "Johnny Football" t-shirts. The pending Manziel lawsuit and settlement of the video game-likeness lawsuits, taken together, set the stage for what will be the next wave of college athlete litigation: challenges against universities for commercial use of players’ identities in the context of jersey sales. 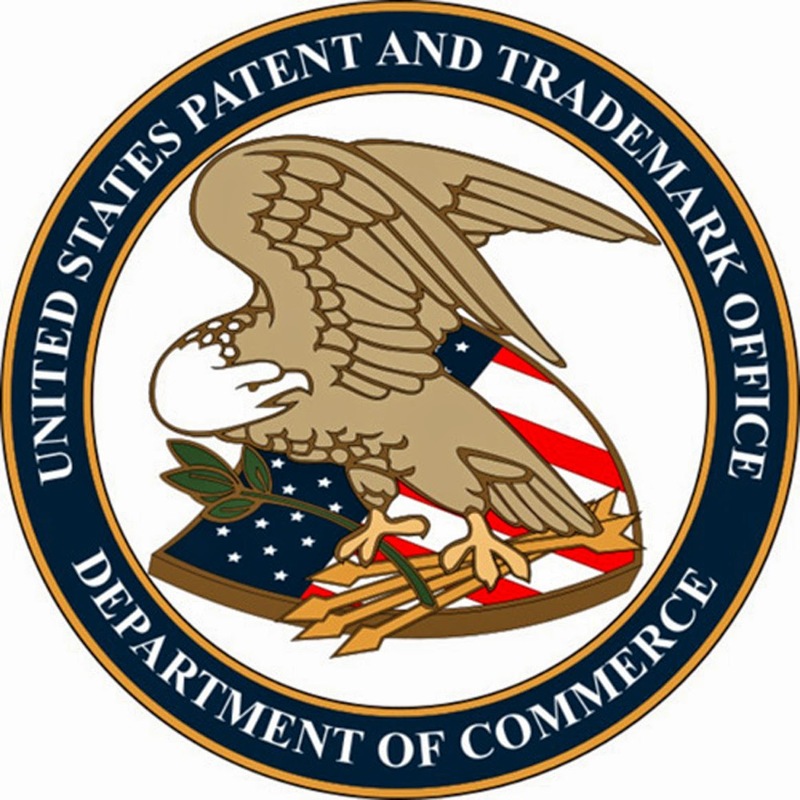 State right of publicity laws generally do not require a plaintiff to establish that his or her actual name or picture is being used in a commercial product; the identity element to establish a cause of action is broadly construed to mean if the public would make the connection that the defendant was referring to the plaintiff. Moreover, the college football and basketball players who compete in major college sports do not assign to their universities the rights to use their widely-recognized game jersey number in connection with the commercial sale of jerseys. 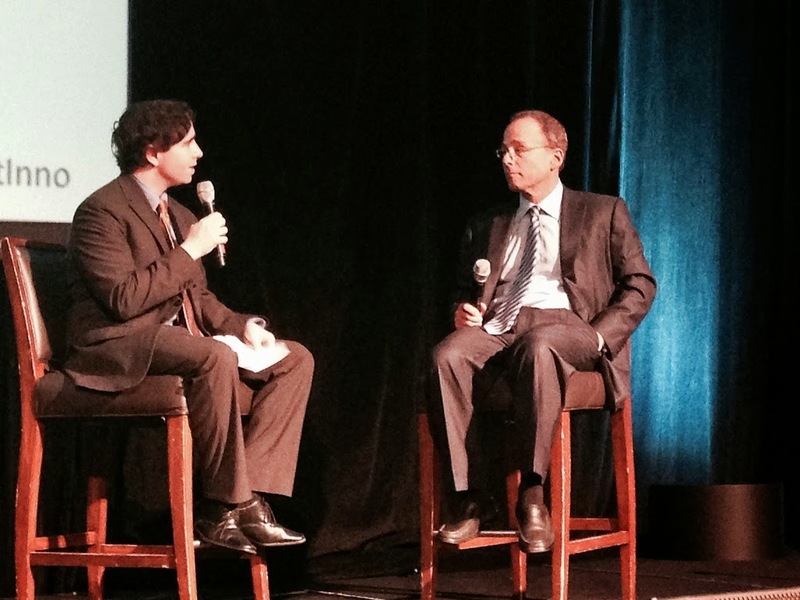 Yesterday I had the honor of conducting a one-on-one interview with New England Patriots president and New England Revolution owner Jonathan Kraft for over one hour at the State of Innovation, held at the Westin Boston Waterfront Hotel. There were several hundred people in attendance, including the intrepid Warren K. Zola, who kindly took some photos and also had great insight for the discussion. 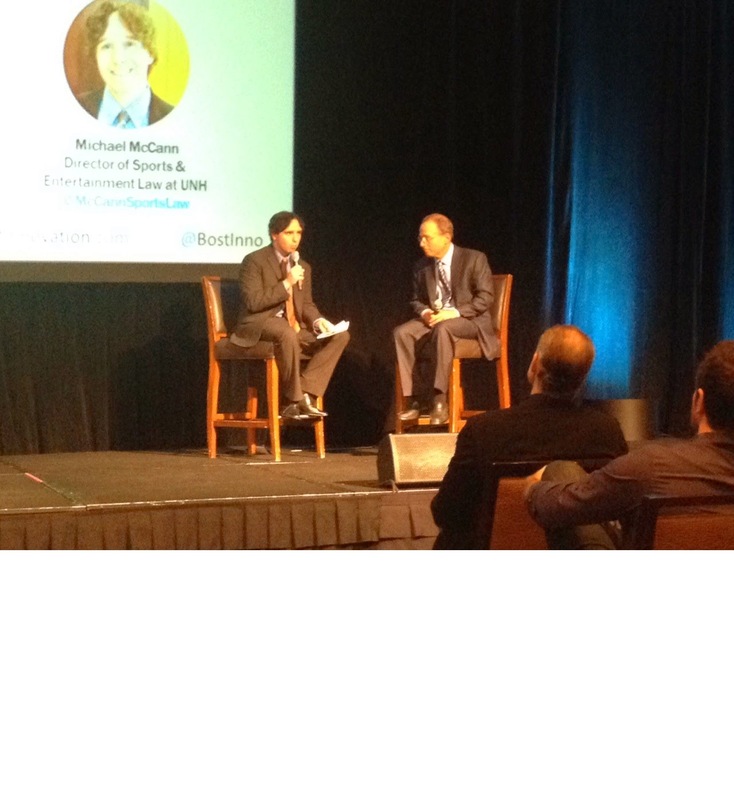 Jonathan and I discussed a wide-range of legal and business topics, including how technology will impact broadcasting for the Patriots and NFL, lessons for the NFL from the Donald Sterling story and the pioneering work by Kraft Group/Patriots VP Jessica Gelman on analytics. Kraft cited one of the team's most famous examples of Gillette innovation: Stadium Wi-Fi. He relayed the point by using an experience that he had with Mark Cuban, who he noted was a friend, but had disagreed with him on the possibility of Wi-Fi for 70,000 people at a stadium. The two had discussed it "at the MIT Sports Analytics Conference half a dozen years ago." "At the time," Kraft explained, "he basically just looked at me and said 'Jonathan you're crazy, and you're not going to be able to do it, it doesn't exist." Yet the Patriots have managed to accomplish it with years to spare. Now fans can use the official Patriots app to get a more complete fan experience while attending the game. Through reporting and analysis, I have a new Sports Illustrated | SI.com article that details how the NBA will likely respond to Donald Sterling's latest moves. Hope you can check it out. The NBA, NFL, NHL, and MLB, along with Louisiana State University and the Collegiate Licensing Company (a trademark licensing entity representing 13 major universities) all jointly filed a potentially significant new trademark infringement lawsuit in federal court in the Northern District of Illinois on Wednesday. The complaint (available here) alleges that various unnamed foreign companies are infringing the plaintiffs' trademarks by selling unauthorized products over the Internet. In addition to requesting that the court enjoin the foreign companies from engaging in further trademark infringement, the complaint also requests another interesting form of relief: control of the defendants' offending websites. Specifically, the leagues and universities are asking the court to issue an order instructing the various Internet domain name registration companies to assign control the offending websites to the plaintiffs, and to further order the major Internet search firms to cease advertising and linking to websites affiliated with the foreign defendants in the future. The leagues and colleges' request for the court to order that the offending URLs be transferred from the defendants to the plaintiffs is not unprecedented. Miami Heat forward Chris Bosh received this very type of relief from a federal court in California in a 2009 suit over unauthorized domain name registrations. If the leagues and colleges can similarly prevail, this legal strategy could provide a valuable precedent for trademark holders to attack infringement by foreign firms in the future. Over on Forbes, I provide a discussion of nine key takeaways from the first three days of trial in O'Bannon v. NCAA. Among other things, I discuss why it was a smart move by plaintiffs' lawyers to choose a bench trial rather than a jury trial, why NCAA licensing restraints are not analogous to the rules of Little League broadcast licensing, and areas in coaching Ed O'Bannon as a witness where the plaintiffs' lawyers could have improved. Last week, a federal judge in Grand Rapids, Michigan upheld a $1.6 million judgment against former Detroit Red Wings forward Kevin Miller, who checked Canadian national Andrew McKim in the back causing him to fall forward and strike his head on the ice which resulted in a concussion and other injuries. The incident occurred during a Swiss league game back in 2000. Miller was also charged and convicted of simple bodily harm, intentional bodily harm and gross negligence in Switzerland's Canton of Zurich in 2004. In 2010, a Swiss insurance company obtained a $1.1 million judgment against Miller in a Swiss court. Miller has since refused to pay the Swiss court's judgment, and, as a result, the judgment increased to $1.6 million with interest and costs. Miller had filed a lawsuit against a different Switzerland-based insurance company that represented his team, the AXA Winterthur Insurance Company, claiming that the insurer agreed to pay the judgment pursuant to a 2005 document from the company in which it expressly acknowledged: “It is hereby formally confirmed that Winterthur is responsible for the financial consequences of all judgments and costs arising out of … the criminal proceedings and … any civil proceedings relating to Mr. Andrew McKim’s direct claim against Mr. Kevin Miller based on the accident of 31st October 2000.” Miller sued Winterthur in state court and the company had the case removed to federal court. Unfortunately for Miller, he was dealt two legal blows. In his case against Winterthur, Chief U.S. District Judge Paul Maloney, who presides in Kalamazoo, ruled that the U.S. court had no jurisdiction over Winterthur. The Court of Appeals upheld that ruling, stating: “The burden on Winterthur would be heavy, as it has no presence in Michigan, and it would be forced to litigate a contract case created under Swiss law in the United States court system.” The second blow came last week from Judge Gordon Quist in Grand Rapids who ruled that his court was bound by the Uniform Foreign-Country Judgments Recognition Act and he enforced the $1.6 million Swiss court judgment against Miller. The timing of the enforcement of this judgment is somewhat interesting because Steve Moore's case against Red Wings forward Todd Bertuzzi and the Vancouver Canucks is scheduled for trial in Toronto on September 8. Moore is suing Bertuzzi and the Canucks for $38 million arising from the highly controversial career-ending hit that Bertuzzi laid on Moore in 2004, when Bertuzzi played for the Canucks, which left Moore with a concussion and three fractured vertebrae. Bertuzzi also faced criminal charges and he pleaded guilty to assault causing bodily harm. In 2006, he was sentenced to a year of probation and eighty hours of community service. Indeed, a lengthy law review article could be written about all of the legal issues presented by these two cases. Aside from the jurisdictional, international, criminal, and insurance/contract questions raised, there are also issues concerning foreign civil standards for liability of one sporting participant to another. Athletes sued by co-participants in other countries may not receive the equivalent benefit of the U.S. civil liability standard, which is predicated on reckless disregard for safety and often poses a difficult burden for plaintiffs to overcome, and U.S. courts are often quick to pull the "assumption of risk" trigger. And last but not least, these cases involve plaintiffs having to prove damages for lost earning capacity as professional athletes, a topic that I have personally found to be very interesting and rather complex. He's back. Donald Sterling has abruptly canceled his agreement with the NBA to walk away from the Clippers in exchange for $2 billion. His lawsuit isn't going anywhere and he doesn't think he is, either. My take for SI.com on what this all means. “The argument is going to be that if you take all this money out of the only two programs that make money, everything else is gonna go away. We’re not going to be able to afford anyone else,” Milstein said. A major development today in the first day of the Ed O'Bannon v. NCAA trial: the NCAA settles with everyone but Ed O'Bannon and his class of plaintiffs. My take for Sports Illustrated on what this means going-forward. I have a new Sports Illustrated article tonight on the O'Bannon trial, which begins on Monday, and some new info about what to expect. I have a new article for Sports Illustrated that is a complete legal primer on the upcoming O'Bannon v. NCAA trial. The trial is set to begin on Monday. Also be sure to check out The Key Players in The Trial and Andy Staples' piece on myths about the case. Earlier this evening, Donald Sterling dropped his lawsuit against the NBA. I have a new article for SI.com on why Sterling dropped his lawsuit and what his decision means for the NBA and commissioner Adam Silver. Last night, the plaintiffs in the O'Bannon v NCAA lawsuit filed their trial brief. This document outlines the plaintiff's legal strategy in making its antitrust claims against the NCAA, its member schools, its conferences, and its vertical business partners. The [antitrust plaintiffs] will prove at trial that the National Collegiate Athletic Association (“NCAA”), its member schools, its conferences, and its vertical business partners have conspired to deprive college athletes in Division I men’s basketball and football through the licensing of those athletes’ names, images, and likenesses (“NILs”) in television broadcasts, rebroadcasts, game clips, and videogames. This anticompetitive conduct is sacrosanct to the NCAA—it is a condition of NCAA membership, a condition of eligibility for college athletes, a condition of doing business with the NCAA, and codified in the NCAA rules prohibiting payment or the promise of future payment to college athletes for any purpose. Predictably, the world’s leading economists—including even the NCAA’s chief expert—agree that the NCAA is a textbook cartel. And the evidence of conspiracy gathered during discovery is overwhelming. If you are interested in downloading the entire plaintiff's trial brief, you may do so here. Note: if and when the Sports Law Blog is able to obtain a copy of the defendant's trial brief, it too will be posted on this site. The trial is scheduled to begin on Monday, June 9th in front of US District Court Judge Claudia Wilkin in Oakland, California. 1999. I think that was the year that "amateurism" officially died because it marked the beginning of the stratospheric rise in college football coaches' salaries. Believe it or not, in that year, which is only fifteen years ago, a mere FIVE head coaches in ALL of college football were making $1 million. By 2007, at least fifty college football coaches were making $1 million and at least twelve were making $2 million. By 2008, one college football coach broke the $4 million mark, at least seven other football coaches had broken the $3 million mark, and twenty-three were making $2 million. By 2009, two additional coaches broke the $4 million mark and at least sixty-nine coaches were making $1 million or more. And it is now 2014. USA Today's Steve Berkowitz, who has been tracking college coaches' salaries through the years, yesterday wrote that Nick Saban inked a deal that pays him a whopping $6.9 million annually through 2022! Through 2022??? Large cap multi-billion dollar publicly-traded corporations don't even give their top executives that length of an employment contract! Moreover, the nine full-time assistant coaches at Alabama will earn just under $5.2 million, combined. Out in Texas, Berkowitz noted that Charlie Strong will make $5 million for the 2014 season and get the benefit of the University of Texas paying a $4.375 million buyout of his contract with Louisville, and Texas A&M coach Kevin Sumlin will make $5 million in 2014 under a new six-year deal he signed this past December. We have officially been "numbed down" by what many critics five years ago were characterizing as eye-popping, mind-boggling and breathtaking coaches' compensation that is funded with tax-exempt revenue and, therefore, subsidized by taxpayers. I was one of those critics five years ago when I wrote about the economic implications of the "coaching carousel" and I admit that I too have now, unfortunately, just become numb to it. This link goes to video of a panel on Baseball and American Life at the Great Washington Writers' Series luncheon last week. Panelists include Justice Alito, David Brooks, Tim Kurkjian, Christine Brennan, and George Will. Dan Marino has joined nearly 5,000 retired NFL players in suing the league. I have a new article for SI.com on the lawsuit and what it means for the NFL. New Law Review Article: The NCAA's 'Death Penalty' Sanction -- Reasonable Self-Governance or an Illegal Group Boycott In Disguise? Just in advance of the NCAA's upcoming antitrust trial, I am delighted to share my newest law review article entitled "The NCAA's 'Death Penalty' Sanction -- Reasonable Self-Governance or an Illegal Group Boycott in Disguise." The article examines why the NCAA “death penalty,” although arguably benevolent in its intent, undermines the core principles of federal antitrust law. Part I of this Article discusses the history of college athletics, the NCAA, and the “death penalty” sanction. Part II provides an introduction to section 1 of the Sherman Act and its application to the conduct of both private trade associations and the NCAA. Part III explains why a future challenge to the NCAA “death penalty” could logically lead to a court’s conclusion that the “death penalty” violates section 1 of the Sherman Act. Finally, Part IV explains why Congress should not legislate a special antitrust exemption to insulate the NCAA “death penalty” from antitrust law’s jurisdiction. This article will be published in the Spring 2014 edition of Lewis & Clark Law Review.